Raptors fans get ready: NBA fever is coming to Calgary for a brief time. On October 3, the Scotiabank Saddledome will be trading its ice for hardwood as the Toronto Raptors look to gear up for the 2016-2017 season. Calgary basketball fans will have the opportunity to see DeMar DeRozan, Kyle Lowry and all their favourite Raptors in action against the Denver Nuggets, right after they play host to Steph Curry and the Golden State Warriors on Oct. 1 in Vancouver. Coming off their most successful season to date, the Raptors look to expand their influence beyond the borders of the Greater Toronto Area. Branding themselves as “Canada’s team,” the Raptors look to continue their cross-country trips after selling out the Rogers Arena in Vancouver last year and other successful stops in Edmonton and Winnipeg. 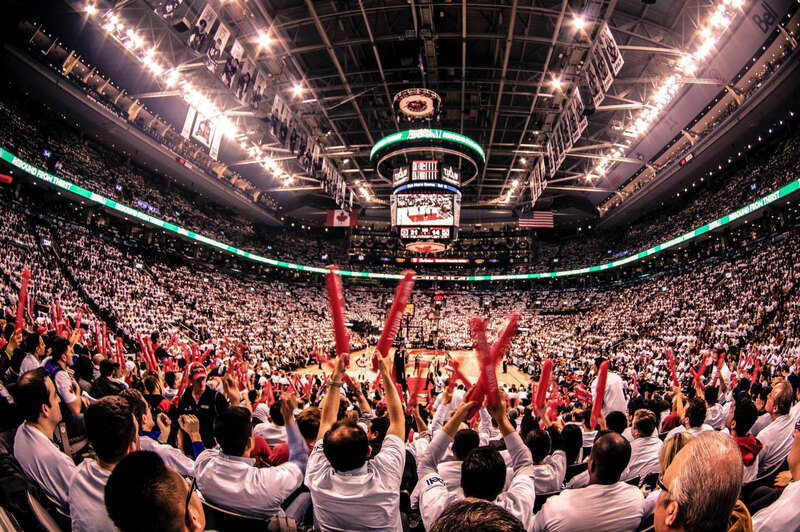 “The NBA has never been more popular in Canada. 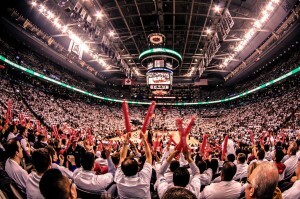 Between the Raptors’ Eastern Conference Finals run, the excitement around the Warriors’ record-setting season and the Nuggets’ talented young core, our passionate Canadian fans are in for a real treat when these teams come to Vancouver and Calgary in October, says Dan MacKenzie, Vice President and Managing Director of NBA Canada.